Drop by an open house and see Leach Theatre’s updates 2-4 p.m. Friday, Aug. 31, in the theater at Castleman Hall. 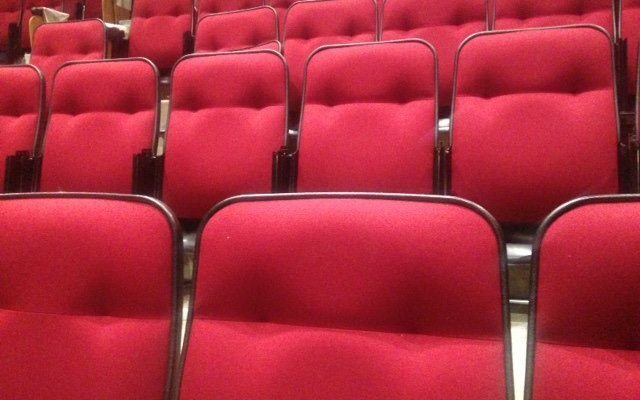 Come see the venue’s new seating with added width and lumbar support, a center aisle, new carpeting and handrails. Light refreshments will be served. Beverly Pogue will be honored for her faithful service to the university and her department at a reception 11:30 a.m.-1 p.m. today (Thursday, Nov. 9), in the shop area of the General Services Building. Pogue is an administrative assistant in facilities operations. Please join the printing and mail services staff to celebrate and recognize Mary Hodge’s 34 years of service to S&T at a retirement reception 2:30-4 p.m. Wednesday, Nov. 15, in Room G8 Campus Support Facility. Hodge is a senior mail carrier. Join the student financial assistance office in celebrating Tracy Wilson’s contributions to Missouri S&T during the past 22 years at a retirement reception 1:30-3 p.m. Thursday, July 20, in the Missouri Room of the Havener Center. Drop by to congratulate Wilson, manager of student financial assistance. Joan Nesbitt, vice chancellor of University Advancement, invites the campus community to a reception to honor Dr. Lea-Ann Morton, assistant vice chancellor of University Advancement, at 4 p.m. Friday, July 21, at Hasselmann Alumni House. After 16 years of service to Missouri S&T, Morton will return to her home state of Arkansas and serve as director of corporate and foundation relations at the University of Arkansas. Join the facilities operations staff in honoring custodian Joe Osborne at a retirement reception 8:30-10:30 a.m. Friday, July 7, in the conference room of the Custodial and Landscape Services Building. The building is located at 101 W. 12th St. For more information, please call 341-4247. Join the registrar’s office in thanking two employees for their contributions to Missouri S&T at a retirement reception 1-3 p.m. Thursday, June 29, in the Carver-Turner Room of the Havener Center. Drop by to congratulate Kim Gewinner, enrollment services specialist, and Lynn Shelton, database services assistant, on their retirement. Mitsy Daniels, fiscal manager, will retire in June after 38 years of service to the university. Please join her colleagues at a retirement reception 2-4 p.m. Thursday, June 1, in 305 McNutt Hall. The department of mathematics and statistics invites the campus community and friends to a retirement reception for Dr. Ilene Morgan, associate professor of mathematics and statistics, at 2-4 p.m. Wednesday, May 10, in the John O. Farmer Alumni Lounge of Hasselmann House. Please stop by and wish her well.